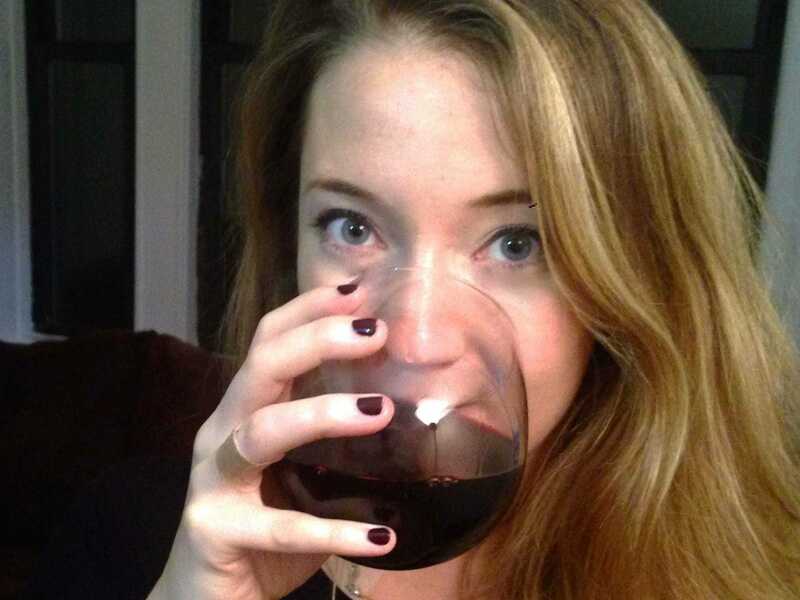 Megan Willett/Business InsiderI’m a boxed wine convert — almost. Until recently, the last time I drank boxed wine was in college when “slap the bag” was an acceptable party game and everyone’s goal was to get as drunk as possible. Needless to say my memories of boxed wine were not the best. But on a recent liquor store trip, I was intrigued by a good-looking box of wine. On the side of the box it claimed that it had three litres or four standard bottles-worth of wine, and that it would keep for over a month. It sounded too good to be true, but my frugal curiosity got the best of me. And it was actually delicious. Aside from the taste, I loved that I could have a casual glass without the pressure to finish an entire bottle. It helped that it cost about $US20 for four bottles worth of wine, too. Since then, I’ve tried a variety of boxed wines. Black Box, Wineberry, Bota Box, Trader Joe’s, and more, all with approximately four bottles of wine in a thick food-grade plastic bag. And I’ve learned one really important thing: We should all be drinking more boxed wine. The fact that more people don’t drink boxed wine in America stems from our own cultural biases. Other areas of the world are much more liberal with how they partake: 50% of the wine sold in Australia, Brazil, Sweden, and Norway for example is boxed wine, according to Wines & Vines magazine. The Grape Vine Magazine reported that boxed wine is one of the fastest growing wine segments in the world with sales increasing 20% every year since 2000. And even though boxed wine only accounts for 18% of sales in America, that could all be changing. “The US wine market is growing tremendously and we’re developing a taste for wine,” Steffan Bankier, co-founder and CEO of the boxed wine brand Public House, told Business Insider. 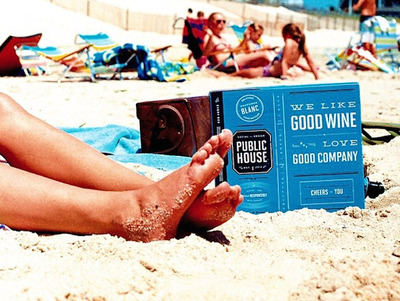 publichousewine/InstagramPublic House also provides glasses with every box. Even if you’re a wine snob, there are simply too many benefits to ignore the growing market. First of all, it stores better — and longer — than regular opened wine. After pouring your first glass, boxed wine will stay fresh between six and eight weeks while your average bottle of red or white wine lasts less than a week once it’s been opened. The plastic bag keeps the air out and prevents oxidation until the wine has been dispensed into your glass, unlike a bottle which lets air in immediately after uncorking. Boxed wine also generates less waste. You don’t have to toss out wine that has gone bad, plus there’s less packaging since four bottles-worth of wine can fit inside one box. The packaging is also more durable than a bottle. Glass is heavy and can easily break, but food-grade plastic and cardboard transport safely and don’t take up much space. Because the packaging is lighter-weight than glass bottles, when the wine travels across the country there’s less of a carbon footprint, too. And because it can’t break as easily, is more light-weight, and is easy to transport, it’s better for on-the-go social settings. All of this means that boxed wine ends up being cheaper. Prices typically range from $US13 (Trader Joe’s) to $US40 after tax for three liter boxed wines, and that’s not even including Tetra Pak options which are essentially adult juice boxes with a bottle and a half of wine inside (Bandit and French Rabbit are popular brands for those interested). Megan Willett/Business InsiderMe IRL last night. 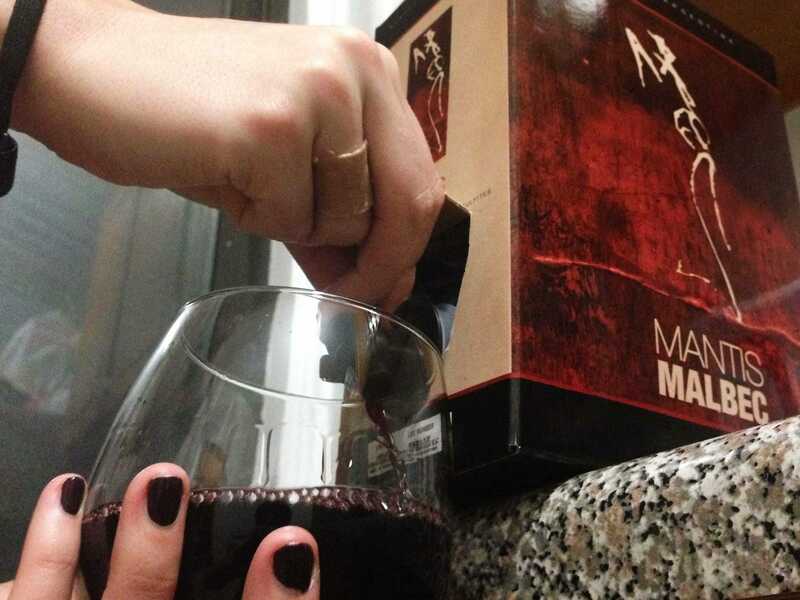 I’m not a complete convert to boxed wine yet. I’ve continued to buy bottles to bring to dinner parties and friend’s houses and I still enjoy a high-quality wine as a splurge. It’s also worth noting that the only two areas boxed wine really falls short are perception (I’d never give boxed wine as a hostess gift, for example) and in the vintage market since boxed wine doesn’t age like bottled wine can (boxed wine can keep 6-8 months for unopened whites and 10-13 months for unopened reds). So if you’re a wine snob and you can only drink the best of the best, ignore my advice. Get all the expensive vintages you want and fill up that pretentious wine cellar of yours. But for the rest of us, when it comes to day-to-day wine to drink with dinner, give boxed wine a chance.